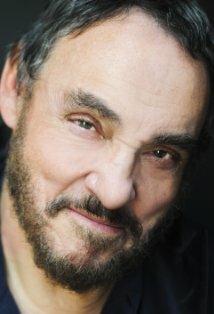 Acclaimed British actor John Rhys-Davies graduated from the University of East Anglia and is probably best known to film audiences for his roles in the blockbuster hits Raiders of the Lost Ark (1981) and Indiana Jones and the Last Crusade (1989). Rhys-Davies was introduced to a new generation of fans in the blockbuster trilogy "The Lord of the Rings" (The Lord of the Rings: The Fellowship of the Ring (2001), (The Lord of the Rings: The Two Towers (2002), and (The Lord of the Rings: The Return of the King (2003)) in the role of Gimli the dwarf. He has also had leading roles in Victor Victoria (1982), The Living Daylights (1987) and King Solomon's Mines (1985).Rhys-Davies, who was raised in England, Africa and Wales, credits his early exposure to classic literature for his decision to pursue acting and writing. he later refined his craft at London's renowned Royal Academy of Dramatic Arts. His television credits include James Clavell's "Shogun" (1980) and "Noble House" (1988), "Great Expectations" (1989), "War and Remembrance" (1988) and "Archaeology" (1991).An avid collector of vintage automobiles, Rhys-Davies has a host of theater roles to his credit, including "The Misanthrope", "Hedda Gabler" and most of Shakespeare's works. He divides his time between Los Angeles and the Isle of Man.